Please select the version of the site to fit your equipment! 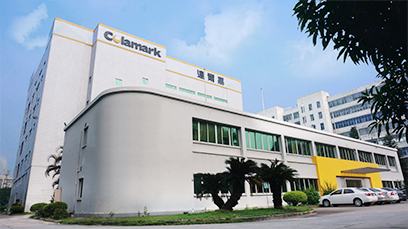 About UsColamark is a leading solution provider specialized in labeling, card fabrication/process equipment and Ink Jet system integration. We commit to providing robust and creative solution to our customers with reasonable budget. Our solution has been widely used in pharmaceutical, healthcare, food & beverage and smart card industries. Colamark Vision Tablet Counter and aggregation method that is revolutionary from the traditional multiple channel counting method. The material flow is conveyed by a vibrating plate in a single layer manner, and is counted in batches precisely while falling down from the vibrating plate by a high speed camera. There is no need to divide the material flow into single channels like in the traditional multiple channel method. Colamark Blister Packaging Machine is a thermal formed blister packaging machine which automatically forms blisters, inserts materials, and die cuts in one process. Designed for the packaging of small containers, ampoules, oral drink bottles, syringes for the pharmaceutical industry, at up to 600 pieces per minute. Colamark inline filling machine specially designed to meet the need of the demanding users. Suitable for filling liquids of different viscosity like medicines, syrups, oil, and cream etc. Independently and electronically controlled filling nozzles offers high precision, easy setup and adjustment, as well as high versatility. Capable of mixed filling requirements within the group of nozzles. Pre-set product program allows fast changeover. Colamark TF series offers ideal tray forming solution for packing vials, ampoules, oral bottles, etc.. It can be seamlessly integrated with Colamark labeling machines, tray inserter and blister machine. Its speed can be up to 40 mold/minute. Colamark fully servo controlled cartoning system offering easy set up and adjustment, and high speed and reliable operation specially designed for the pharmaceutical, packaged food, and beauty care product industry. Suitable for the cartoning of bottled, bagged, or stacked products. Automatic insertion of leaflets . Balcony design structure allows easy adjustment and easy clean up.